I am trying very hard to get out of my usual reading habits and try something new, I am not one for non-fiction but I'm seeing ones pop up that I believe are great ways to start with for me. I love plays and especially Broadway musicals, it's always been on my list to see a show on Broadway in New York City, so when I saw this book I was interested and I thought it was a great way to get into something new. 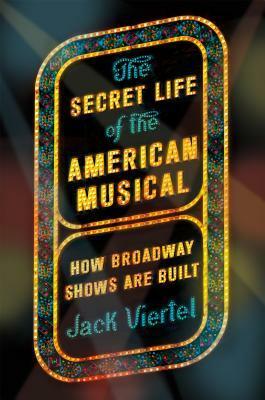 I definitely found this book to be interesting, the way Jack discusses how a Broadway play is made and the way he shows through many examples of different plays. I could sit there and picture other plays that definitely had the same story arc to get through. Jack Viertel definitely organized his book in the way that a Broadway play is put together, that I almost felt at times I was actually sitting watching a play myself. The one thing that got me was that some of the chapters seemed to drag on a little bit, where it felt that Jack was overdoing his examples. Yet I understand, he wants to show that some musicals may veer a little off course yet they still stick to main plot line, making sure to have the lightness and the dramatic songs to keep the audience interested. The one thing that gave me trouble while reading it was Jack's comments on the racial side of Broadway. I'm not exactly sure how to explain it, but I can say it was a put off... it felt aggressive to me as a reader. That was the biggest thing for me, other than that, when Jack Viertel stayed on the topic of how a musical is set up it was great to read. This book helped me get out of my comfort zone, and I'm definitely trying more non-fiction books. Despite some things this book definitely helped show me that other genres can be interesting and I just need to find the right topic. Hopefully more non-fiction books will catch my attention!